Millennials crave a spicy kick. And it’s well known this group of diners goes wild for customizable dishes. What menu item fits both of those categories? Chili. It’s a totally versatile, completely customizable, easily prepared offering that’s especially well-suited to the colder months. Some 57% of consumers age 18-34 find spicy flavors “extremely appealing,” according to Technomic’s recent Flavor Consumer Trend Report. That’s compared to just 47% of those 35 and older, the survey found. And the combination of “savory and spicy” is preferred by 58% of millennials. One possible reason for chili’s enduring popularity? It’s simply so versatile. 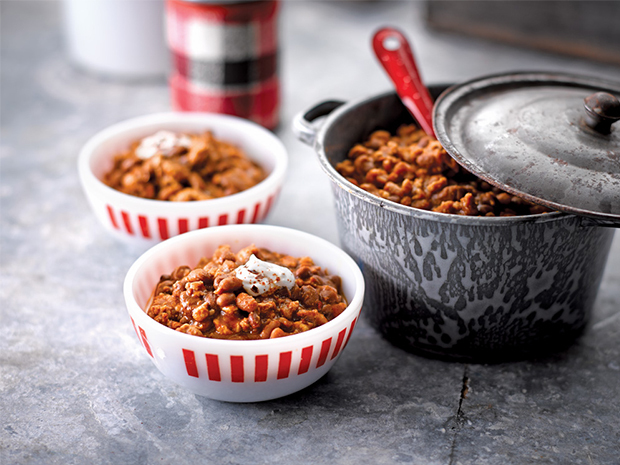 Plus, not only can chili be made ahead; it’s even better if it is. Chili can be a protein powerhouse. But it doesn’t have to solely be made with ground beef. Creative chefs are incorporating everything from garbanzo beans to turkey to buffalo in their chili variations. Experiment with interesting animal proteins. Legacy Retirement Communities, for example, offers a white chili with ground pork, hominy and salsa verde. Or appeal to fans of plant-based eating with bean-heavy bowls or those that rely on meat substitutes such as soy crumbles or seitan. Consumers love the one-two flavor punch of sweet-hot combinations. And chili is a perfect blank canvas for this pairing. Go for an easy flavor twist by adding some cocoa powder to traditional chili recipes, a la Cincinnati Chili. Cincinnati Chili is a great way to add a customization station, too, as diners can choose to have their chili with spaghetti, beans, cheese, onions and more. Or play up the sweet side by supplementing a vegetarian-friendly bowl with inexpensive, nutrient-packed sweet potatoes. Think outside of the traditional “bowl of red.” Younger diners are especially adventurous and willing to try international twists on popular dishes. Consider menuing red bean rajmah (Indian chili) and naan like they do at the corporate dining facility at Corning, Inc. in Corning, N.Y. or a Mexican pozole with avocado and tortilla chips. Chili is, of course, at home in a bowl. But why not play up its customization options with an assortment of toppings (as well as base items) to create an exciting station? Engage health-conscious diners with toppable ancient grains or whole-wheat or gluten-free pastas. Satisfy comfort-food seekers with mac and cheese, fries or ready-to-top hot dogs. Arrange a veritable salad bar of topping options—from shredded lettuce and onions to cheeses, beans and sour creams and other sauces. Diners, especially millennials, want to know what’s in their food. And menu callouts of specific ingredients drive sales. So, don’t just menu “chili.” Be sure to call out whether you’re using chipotle or ancho chilies, as well as what kind of beans and other proteins are in the dish. Consider hosting a foodservice-sponsored chili cookoff. Sodexo at Troy University recently held such an event, which featured “mystery” ingredients and student taste testers.